There are two types of sailors in the Submarine Community - Nuclear and Non-Nuclear. Both are highly trained and professional sailors performing some of the most difficult jobs and enduring challenging living quarters during stealth deployments around the world. 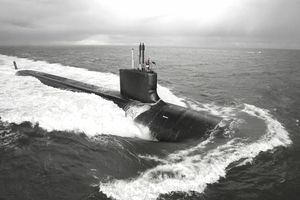 In the nuclear community, the enlisted ratings that can serve on either submarines or surface ships (Carriers) are the Machinist Mates (MM), Electricians Mate (EM), Electronic Technicians (ET). All are required to graduate the 26-week Nuclear Power School near Charleston South Carolina as well as 26 weeks of Prototype Training in Charleston or Ballston Spa, NY - near Albany. Below are the Navy enlisted non-nuclear ratings that fall into the Submarine Community. CS(SS) - Culinary Specialist (Submarine): Culinary Specialists onboard submarines are some of the best in the Navy. They operate and manage dining facilities and living quarters established to subsist and accommodate Navy personnel. The Submarine Community knows its deployments are challenging on its sailors. Having top-notch cooking every six hours is a way to take the sting out of no port stops and very little sunlight. The Navy’s Submarine Electronics / Computer Field (SECF) offers fours ratings that will receive extensive training in electricity, electronics, computers, digital systems, fiber optics, and electronics repair. The first four ratings/ specialty areas are heavily involved with computer and electronics systems. FT - Fire Control Technician: The combat systems specialty (FT) is responsible for maintenance and operation of advanced electronic equipment (in regards to guided-missile systems, underwater weapons) used in the submarine weapons systems. ET COM - Electronics Technician (Communications): The communications specialty (ETR) is responsible for all operational and administrative aspects of the submarine’s radio communication equipment, systems, and programs. ET NAV - Electronics Technician (Navigation): The navigation specialty (ETV) is responsible for all operational and administrative aspects of the submarine’s navigation and radar equipment, systems, and programs. STS - Sonar Technician (Submarine): The acoustic technology specialty (STS) is responsible for all operational and administrative aspects of the submarine’s computer and control mechanisms of the SONAR instruments used for underwater surveillance and scientific data collection. ITS - Information Systems Technician (Submarines): The duties performed by ITs include designing, installing, operating and maintaining state-of-the-art information systems technology including local and wide area networks, mainframe, mini and microcomputer systems and associated peripheral devices. LS(SS) - Logistics Specialist: Formerly the Store Keeper rating, now the Logistics Specialists (Submarines) receive extensive training in the management of repair parts and consumables for submarines, submarine support and shore bases and maintaining million dollar operating budgets. Responsible for all aspects of maintaining repair part and consumable inventories and keeping the submarine’s checkbook, they are the boat's accountants who pay the bills and keep the ship operating. MM AUX - Machinist Mate (Auxiliary Equipment): Auxiliary systems specialists (MMA) operate and maintain submarine non-nuclear mechanical systems in hydraulic, air, refrigeration, atmosphere control, plumbing, and diesel engines. MM WEP - Machinist Mate (Weapons): Weapons systems specialists (MMW) operate and maintain underwater weapons launch systems (including air and hydraulic systems). They are responsible for the safe loading, unloading, shipping, and storage of these weapons and conduct limited maintenance on torpedoes and missiles. MT - Missile Technician - Missile Technicians (Submarines): Missile technicians receive extensive training in the operation and maintenance of advanced electronic equipment and computers and electro-mechanical support systems used in submarine strategic weapons systems. Responsible for the assembly, maintenance, and repair of nuclear-capable ballistic missiles carried on submarines and their associated advanced electronics, and electro-mechanical navigation and targeting systems, MTs are a vital element in the maintenance of strategic deterrence so vital to the security of the United States. YN(SS) - Yeoman (Submarine): The yeoman receives extensive training in administrative support to officers and enlisted personnel. Responsible for information related to Navy occupations, general education, requirements for promotion, and rights and benefits, yeomen also orders and distribute clerical supplies. The submarine YN focuses on Executive Administration. As a YN(SS) you also play a vital role in personnel support. Women in Submarine Force: Female officers have been serving on board OHIO Class submarines since 2011. The Submarine Force is now offering these same opportunities to enlisted females. On August 2, 2016, the first enlisted female earned her submarine "dolphins."